Termites are responsible for more damage to homes in Northern Territory than floods, fires, storm and wind damage combined. 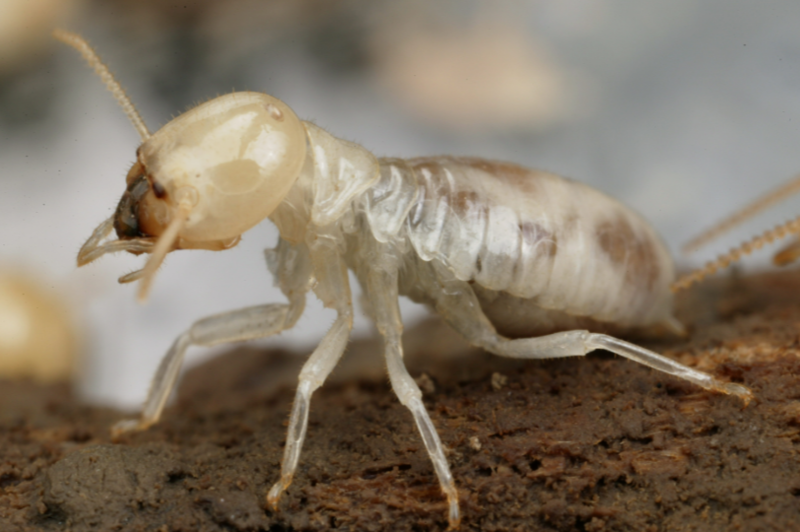 Subterranean termites, the most common variety of these so-called “white ants” are especially voracious devourers of timber. Termite damage can destroy the walls and foundation of a newly constructed home within a matter of months. 1. 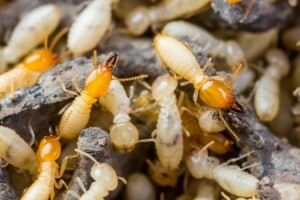 Mud Tubes – Subterranean termites will typically build protective tunnels, using mud and wood cellulose to make their way above ground and through your home’s timber. These tubes provide the moisture they need to survive as well as the protection they need from predators. Visible mud tubes trailing through the earth to a structure are indicative of termite activity. You can verify whether or not these tubes are still active by breaking them open. If they’re sealed back up within a day or two, the tubes are providing an above-ground queue to the buffet that is your home. 2. Signs of Swarmers – Mature termites will sprout wings when they are ready to mate in springtime and emerge from hiding to swarm. Indoors you can find them gathered around windows or doors where they seek light. Ant species also swarm when the warm weather arrives, so it’s handy to know how to identify one from the other. Termite swarmers have thick waists, even lengthy wings and relatively straight antennae. Ant swarmers have more defined waists (think “figure 8”), with wings longer in front than in back, and bent, segmented antennae. 3. Earth-to-Wood Contact in Structure – Because termites are capable of doing so much damage in so short of an amount of time, you want to give yourself as much opportunity as possible to spot their presence. One way to allow yourself this opportunity is to create as much distance as possible between where they live and where you live. This visual distance will allow you to recognize mud tubes before the termites can get very far in their efforts to eat your house and destroy your home. 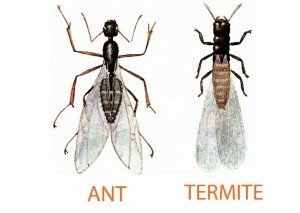 Additionally, wood in the surrounding area may invite termites to move into your home. Making their way through the landscape timber or firewood, the next ideal stop might very well be your home. During your termite inspection, your inspector will make note of any issues that need to be addressed. 4. Wood Damage – Termite damages can be recognized by the tunnels bore into the grain of house timber – much like the tunnels you would see in an ant farm, except on the surface. An inspector will likely need to “sound” the timber. Sounding is tapping for a hollow noise, and is done in order to hear internal damage. 5. Moisture Issues – Termites need moisture to live. Without it, they dehydrate and die within a short amount of time. Constant access to a water source is key to their survival. Ponds near a structure, gutter leaks or inadequate drainage makes life a lot easier for termites. The less moisture your home has to offer them, the easier your job is in protecting against termites. When you choose an inspector for your termite inspection, ask for a list of the types of issues they will look for. They should include all five of these issues. We always do at Houspect. Previous Previous post: What is a Strata Search Inspection Report?